We returned from the Azov camp on the 21st and the following week another camp started in Zhytomyr. We decided that Bethany and Seth would go with Mary, Micah, and Eliana and that I (Chris) would stay home with the other kids. Bethany and Seth had been with the kids the time we were gone to the Azov and we wanted to get them out of the house and experience the camp ministry firsthand. Although, as we have told them many times, they are a huge part of the ministry by helping us with the kids. But it’s good for them to be hands-on. We have done various ministry in Zhytomyr over the years. Last year, many of you supported the Family Retreat. This camp wasn’t the same people (except a few repeats) but it took place at the same place and about the same time as last year. This camp was designed for adults with some sort of disability – either physical or mental or both. “V” is on the left. One of the repeats was a dear mom, I’ll call “V.” She is the one who accepted Christ last year at the family retreat. She was a little disappointed that I wasn’t there, but she sought Mary out to be sure she knew that she was the one who accepted Christ and told her that her life is so different now. Since last year, she has been baptized and has become very involved in the church and other ministries of the church. It was such a great encouragement to us that she is becoming a disciple and is beginning to make disciples. What a blessing! You can see the joy of the Lord in her eyes and on her face. The difference from last year is remarkable. This is a direct result of the financial and prayer support of MANY OF YOU! Thank you! Two of the participants, Igor (in his 50’s) and Andre (in his 40’s), have lived in an orphanage setting since boyhood and have no family that visits them. They spoke a great deal about how they have found joy in their relationships with God despite their very poor circumstances. They make every opportunity to use their abilities to their fullest to reach others for Christ. It was an amazing testimony! 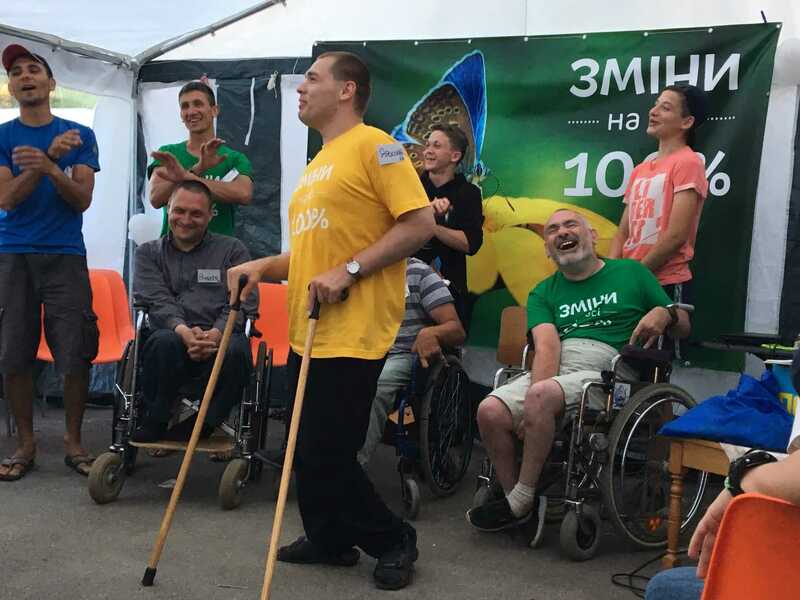 They were also an encouragement to the other participants in the camp that regardless of limited ability, there is hope and there is joy in the Lord. Mary and the crew spend two nights there and headed back home. We were able to build upon the Family Retreat last year. We hope to continue to cultivate this ministry in Zhytomyr. It was a much different atmosphere and opportunity because the participants were all late-teens and adults into their 50’s. Typically, we have only had contact with children. This is an exciting opportunity. “V’s” testimony and spiritual growth over the last year really urge us to continue on and persevere. She is a changed woman who is now reaching out to others. Igor and Andre have taken every advantage of the ability they have (even though you and I would consider them limited) and are reaching people for Christ. They do more with their “limited” abilities than most people do with their full ability. 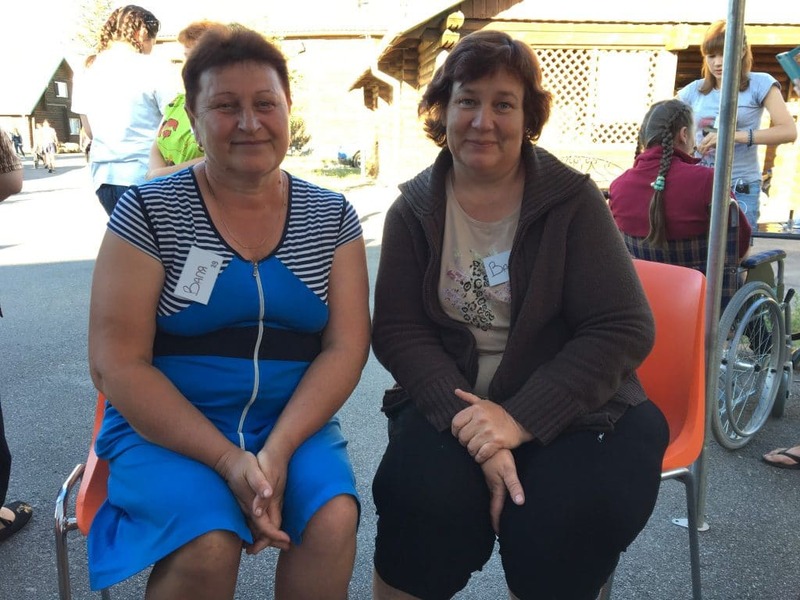 How can you pray for those at the Zhytomyr Camp? Pray for Igor and Andre. Their lives are very difficult. Their love for the Lord is very big. They try hard to share it with others. Pray for “V” as she continues to grow in the Lord and share His love with her family. People here can become an outsider in their families when they come to the Lord. Pray for the ministry there in Zhytomyr (actually, it’s a small village outside of Zhytomyr). I won’t list the names of the people that run that ministry, but God knows each of them. They work so hard and reach so many. They are always in need of help, though. We are hoping to partner with them this coming year. Pray that we will have what we need to partner with the Zhytomyr ministry as we can, if the Lord wills it. This is an area in Ukraine that we hope to expand to in the coming months. *These pictures are the property of Ukraine Ministries of Oklahoma, Inc. and may not be re-used without written permission. Click on the image to see the full image in high resolution. Or you can view the gallery on Flickr by clicking here.